Kate holds an honours degree in Law and a degree in Justice Administration. She practises mainly in the areas of planning and environment, property transactions, securities, insolvency, trusts, all tribunal matters, estate planning, estate administration and family maintenance claims. A former partner of Primrose Couper Cronin Rudkin Lawyers, Julanne has over 25 years of extensive experience in property and commercial law. In particular, in the areas of property development from acquisition to final sales, commercial and retail shop leasing, commercial and residential conveyancing, business acquisitions and sales, estate planning and estate administration, Trusts and general commercial transactions. She also has extensive experience in corporate law matters, particularly, in the areas of managed investments, financial products, Australian Financial Services licensing, fundraising, and compliance. 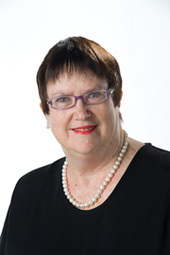 A long term resident of the Gold Coast, Julanne holds both a Bachelor of Laws from the Queensland University of Technology and a Bachelor of Commerce from Griffith University. David undertook his studies at the University of Queensland, graduating with a Bachelor of Commerce and a Bachelor of Laws (Honours). His interest in the law led to further study and he was subsequently awarded a Master of Laws. He was admitted as a solicitor in 1984 and joined our predecessor firm in 1986. David practises in a broad range of commercial and property transactions and has a particular interest in estate planning. He has been a presenter over many years for the Queensland Law Society at legal conferences. He is also a past president of the Gold Coast Law Association. Nicole is a paralegal with extensive knowledge in all aspects of conveyancing, leasing and estate administration.She worked for many years with the predecessor firm prior to leaving to have her two children. She returned to Cronin Shearer Lawyers on a part-time basis and provides invaluable support to David Tierney. You will find Nicole in the office on a Monday, Tuesday, Thursday & Friday. Nicole is an energetic and enthusiastic person who is only too willing to assist with any enquiries and general advice in relation to her areas of expertise. Alana has over ten years’ experience as a legal secretary working predominantly in the areas of Commercial Law and Litigation. Alana provides a high level of administrative & secretarial support to the Principal Kate McCormick with her day to day operations. Ellie is an experienced conveyancer who has worked in the legal industry for over 12 years. Ellie manages our conveyancing department with diligence, exceptional time management and attention to detail. Ellie is passionate about property law and is always willing to take the time to guide our clients through any transaction, big or small. Lisa joined the team at Cronin Shearer Lawyers in early 2016. Lisa is the first point of contact for our clients and her responsibilities include managing reception and providing administrative and secretarial support to our Solicitors and support staff. Lisa takes pride in her attention to detail and delivering excellent customer service to all our clients. 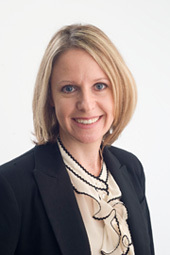 Clair is the firm’s Accounts Manager and has over 15 years’ experience in the legal industry. She holds a Diploma of Accounting and is a Commissioner for Declarations. Clair takes great pride in her work and is responsible for ensuring the day to day running of the office goes smoothly.